All hardware is stainless steel. Easily switch out Apple Watch bands, and adjust the length any way that you’d like. 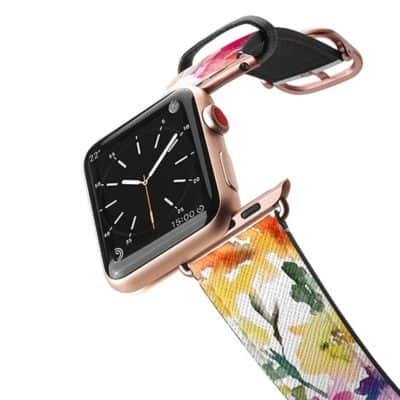 Use code CULTOF20 at checkout for 20 percent off when you purchase two Casetify Apple Watch bands. 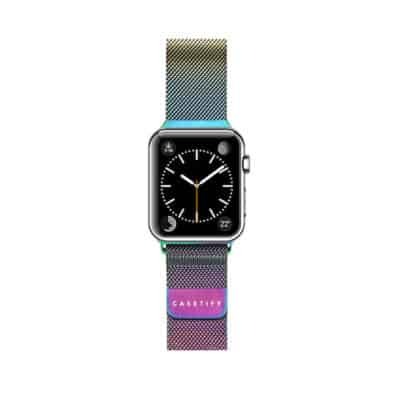 Brand-new is the Stainless Steel Mesh Band in Iridescent. 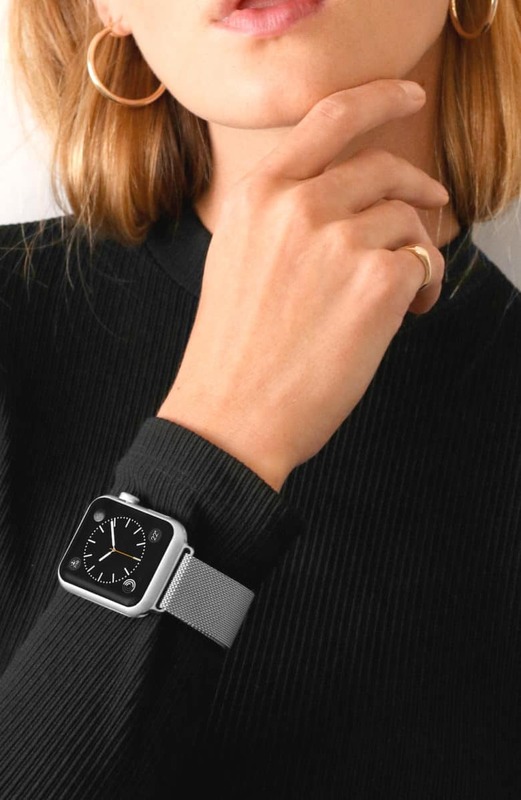 Casetify designs all its products to be super stylish and functional, and its latest collection of Stainless Steel Bands for Apple Watch is no exception. 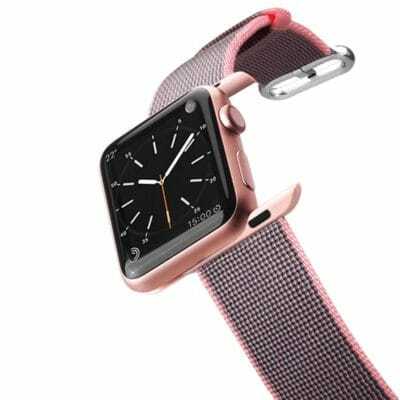 Crafted from woven stainless steel that looks extremely similar to that of the Milanese Loop, Casetify’s version is comfortably lightweight and breathable — the mesh allows air to pass through to the skin. You’ll avoid the sweating commonly found in wearing leather and solid-metal bands. The brand-new Iridescent finish is super unique. A subtle rainbow shimmer casts its light on this gorgeous black band. The new Gold finish matches the new Series 3. The Stainless Steel Mesh band comes in Iridescent, Black, Gold, Rose Gold and Silver. Casetify’s Saffiano Leather band in From the Garden. We love Casetify bands for their high style and functionality, and these cute wintertime straps are no exception. These Apple Watch bands perfectly fit all new Apple Watch Series 3, Apple Watch Series 2 and Apple Watch Series 1. Casetify’s saffiano leather collection in our Watch Store, and they’re fun, high-quality bands. Casetify works with artists who create original designs and watercolors on all of these bands — the company also gives a portion of its profits back to its artists.